Through more than three decades as an active investor, and a portfolio of approximately 4,000 apartment units,Tod Spieker has maintained a simple philosophy that has kept him consistently successful: Basically, you need to develop a specialty. Know your niche as well as you can know it, and don’t try to diversify into too many geographical areas. Tod was educated at UCLA on a swimming scholarship (being named an All American in 1969), graduating in 1971. His studies were in the area of urban geography, taking particular interest in downtown cores. He earned his real estate broker’s license in 1972. Tod began his first full-time job in real estate in 1972 with Lincoln Property Company (now known as Legacy Partners), which was a big apartment developer at that time. Tod’s position was in land acquisitions where he acquired enough land for Lincoln Property to build 1,000 apartment units in Seattle, El Paso, and Santa Clara County. This is where Tod learned the guts of the apartment business: building costs, financing, locations and rent-to-value ratios. 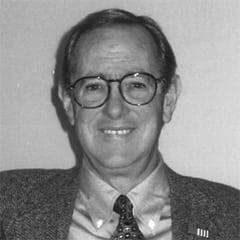 In 1974, Tod joined Coldwell Banker as a broker, selling apartments in Santa Clara County, San Mateo and the East Bay. Brokerage taught him to interact with people and understand what investors were thinking. Tod has also grown in his community. He is a member of the California Apartment Association, the Housing Industry Association, and the UCLA Foundation. He is a former Chairman of the Board for the Institute for Responsible Housing Preservation, a Washington, D.C. lobbying group established to preserve low income housing without abrogating the rights of the property owner.Tod wants to have a positive effect on his community. Tod and his wife, Catherine are leaving a lasting imprint on UCLA, through their funding of the Spieker Aquatic Center.